There were a few jobs to be completed before the seasons first sail, planned for next weekend. The first was to mend the loose lower rudder bearing. The best description for doing this can be found at Tim Pettigrew's website, where he provides very detailed descriptions of many different maintenance and repair jobs. It was much easier to complete than expected. I only replaced the two loose screws with bolts, unlike Tim who used four bolts. However, I did use plenty of resin to bed the casting down well. 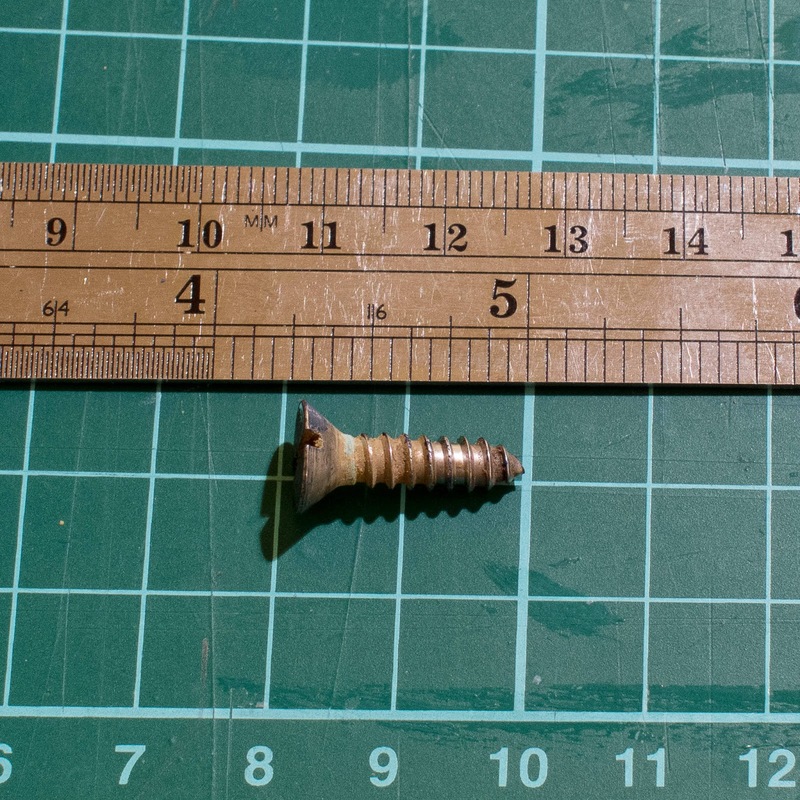 I was surprised how small the two screws were and therefore not surprised they had come loose. Last year I found the roller reefing to be quite difficult to use, it was quite stiff and reluctant to unfurl. I simple modification, of adding a stainless washer below the drum seems to have fixed this. It was necessary to cut this washer so it could be bent over the forestay wire and then straightened once in place. The cut can just be seen in the photograph below. 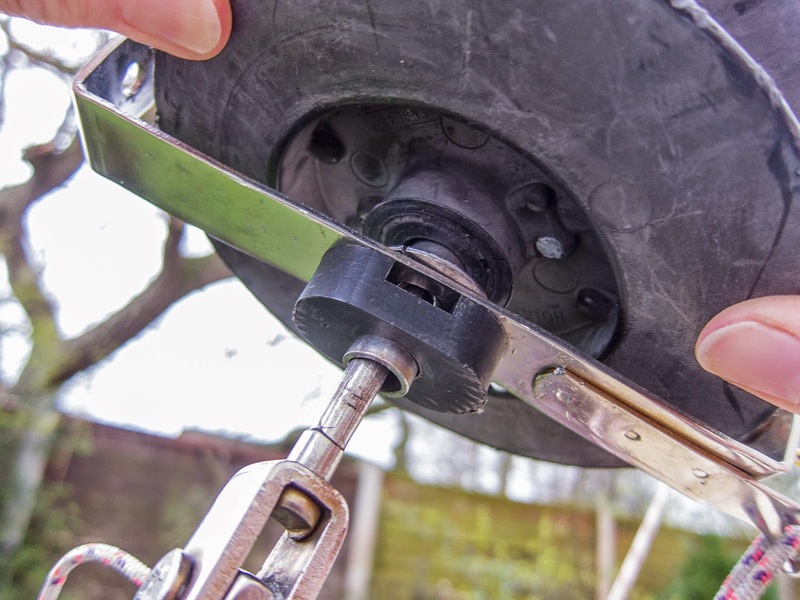 This washer provides a bearing surface and means the drum is much easier to turn. The washer has a 13mm I/D.